As all of you are presumably aware, Parti Quebecois was elected with a minority. CKUT took an alternative look at these results and more direct forms of democracy in Montreal. Listen back to the Wednesday Morning After show from 7-9AM for an election results roundtable. The WMA hosts talked NOT with politicians but with participants in the direct democracy movement and members from different Popular, Autonomous, Neighbourhood Assemblies (APAQs)! Autonomous neighbourhood organizing has been growing stronger and increasingly visible in Quebec over the last year and CKUT is excited to be chatting with people who have been directly involved in making this happen. 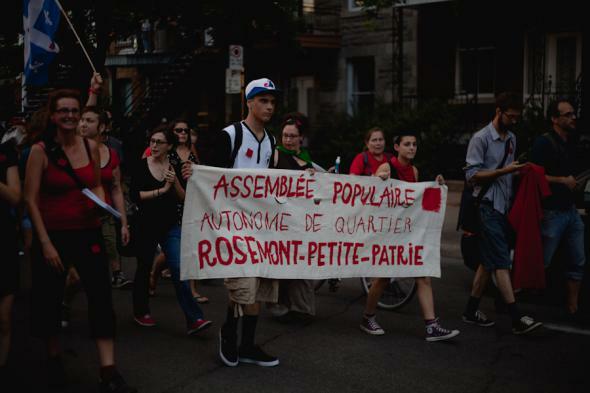 Of course, this grassroots organizing has intensified due to Quebec’s student strike and the neighborhood casseroles protests that occured in protest against Loi 78 and other harsh measures taken against student organizing. If you missed it, be sure to listen to the archived show here.